KCKCC names men’s assistant soccer coach – Welcome to Wyandotte Daily! As the new assistant men’s coach, Burke Slusher brings more than 20 years of coaching and playing experience to the Kansas City Kansas Community College soccer program. The assistant to head coach Ruben Rodriguez, Slusher comes to KCKCC after serving as the assistant coach for men and women at William Jewell College. A native of the Kansas City area, Slusher grew up in the northland, attending and playing at North Kansas City High School. He played collegiate soccer for Missouri State University (formerly Southwest Missouri State University). 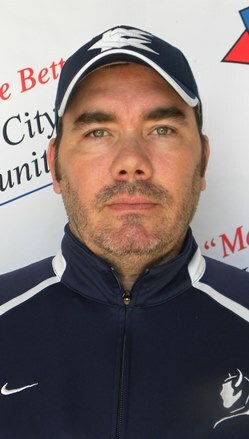 Slusher coached youth with the KC Pace soccer club, winning Missouri state championships in 2005 and 2007, and served as an associate head coach and director of goalkeeping for the Kansas City Brass PDL from 2002-2013. In addition, Slusher has been a coach for the Wizards youth training program, Missouri ODP identification camps, William Jewell goalkeeping camp director, and a talent evaluator for Sporting KC and FC Kansas City open tryouts.